Growing up on a Michigan farm | MICHIGAN GROWN. MICHIGAN GREAT. Growing up on a dairy farm since I was 7 years old has been a blessing. 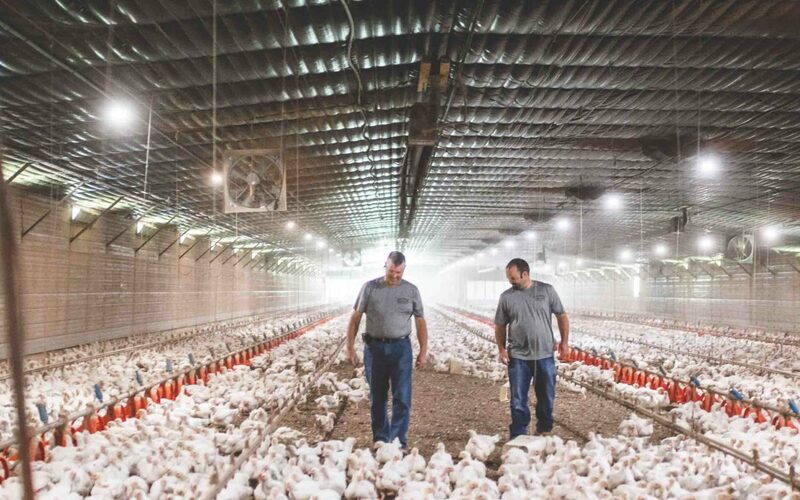 Living on a farm with animals entails a large amount of responsibility even as a young person. When I was very young, my parents owned and managed a farm with beef cows. I loved walking through the pastures to help my dad check all the cows and calves (babies), making sure every animal was healthy and helping treat the sick ones. When I was 8 years old, I was given my first Milking Shorthorn calf. I imagine a lot of people could compare this to getting your first dog – you’re excited, proud, maybe even a little nervous. My love for the Milking Shorthorn breed and the dairy business was born with my first calf in December 2008. I had always dreamed of having a herd of show cattle and now I was getting a start. I instantly bonded with this young heifer (female cow that hasn’t given birth), spending almost all of my time in the barn with her. 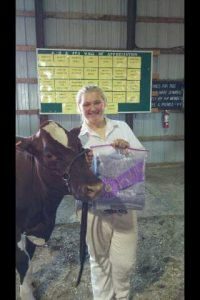 With the help of my parents, I learned how to properly show, fit, clip and care for a show calf. I have been involved in all things concerning my show animals, from sire (father) selection for breeding to feed evaluation and everything in between. Again, this is like giving the reigns to your child to care for a dog or cat at home. I added my second calf to my herd in 2012 when I bought a Milking Shorthorn over the phone. Over the years my cow herd has grown from one heifer calf to six cows that I have traveled all over the country with. When I started showing dairy cattle, I had no idea what crazy adventures it would take me on and all the hard work and dedication showing required. It’s a job that requires 100% dedication to the animals every day of the year. Looking back on the past 8 years of my life, I could not have imagined it any other way. Mackenzie Delong is a senior at North Branch High School. Mackenzie is very involved in both 4-H and FFA, and serves as vice president for her dairy club and the Lapeer County FFA chapter. After high school, she plans to attend college and pursue a degree in dairy management and production.